This is a technique that I first saw on Noah Scalin’s Skull-a-Day 365 Challenge and I thought it was really clever. 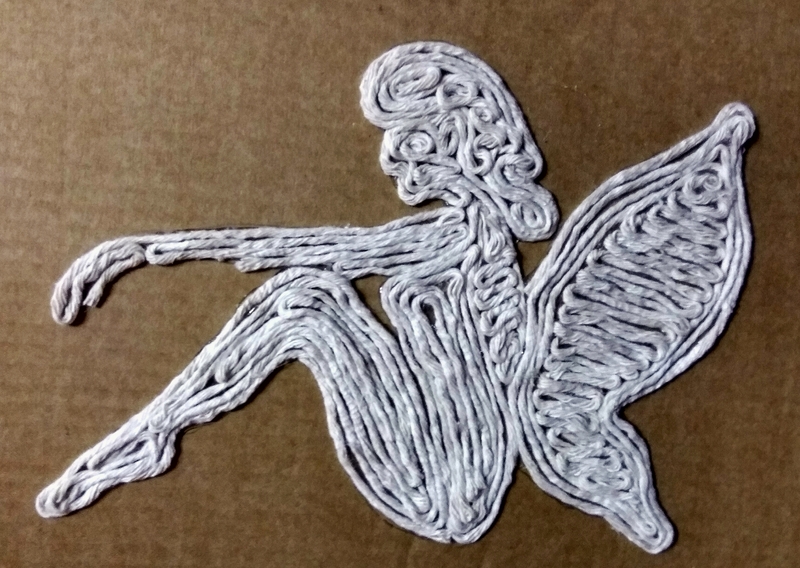 I drew the silhouette on a piece of cardboard and stuck the string/yarn in a deliberate pattern defining the fairy. I used my glue gun to ensure it was secure and did not move.